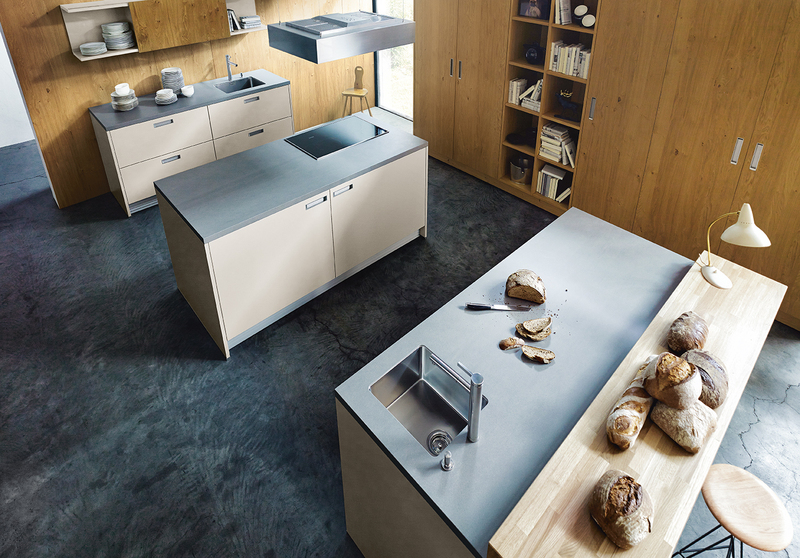 The philosophy and claim of the Next125 kitchen range is that they are designed in harmony with nature and price to produce finished work of international design – moving and fascinating. 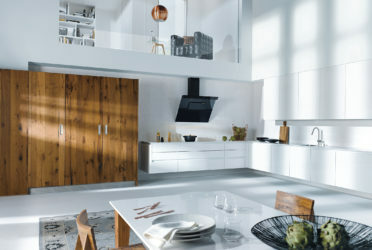 The Next125 range are extremely spacious and well thought out in design with award and recognition in terms of production all at surprisingly reasonable prices. 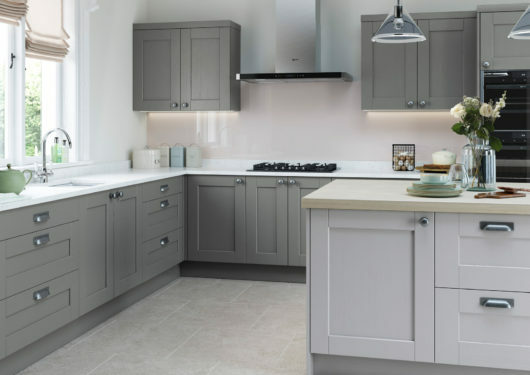 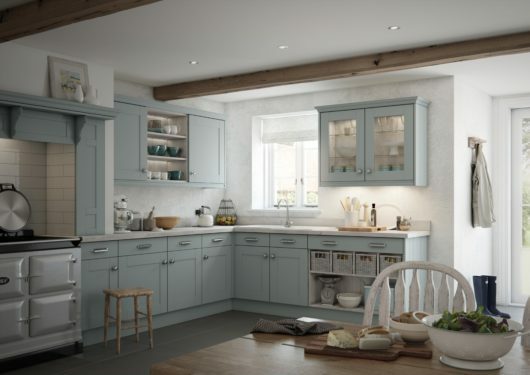 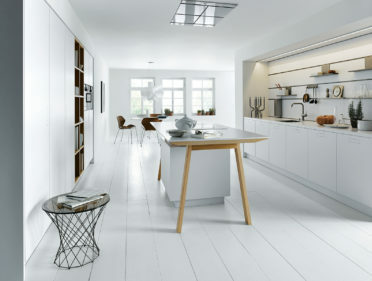 The promise we make in all the kitchens in the Next125 range is a quality promise to passionately use our extensive know-how to produce innovative kitchen designs until the final touch is made and the final detail is perfect, this is what makes this range so unique and so sought after. 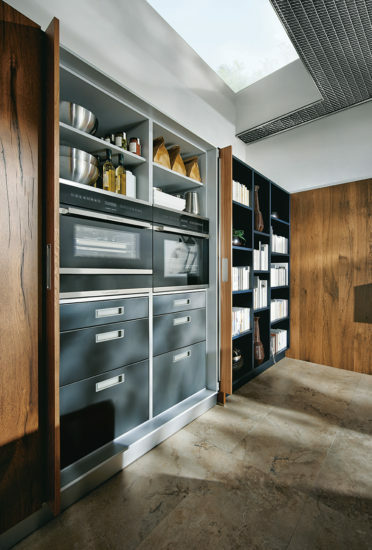 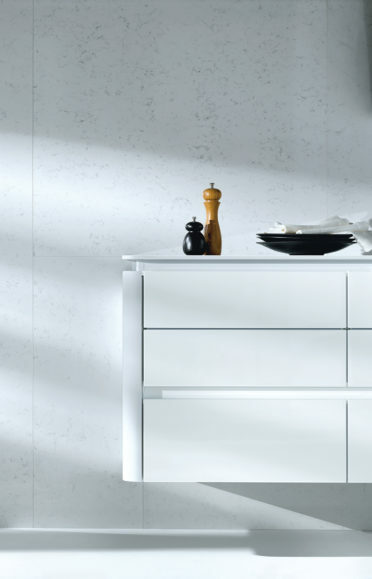 Drawers and Pull Outs – As you would expect from a quality German kitchen manufacturer, the drawers in Schüller kitchens and internal drawers are from Blum adopting their BLUMOTION system. 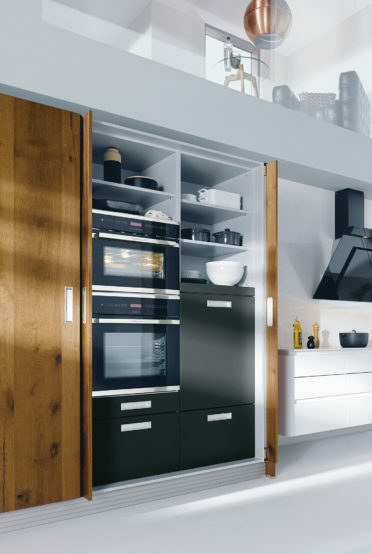 A large range of additional equipment and accessories are available from Schüller. 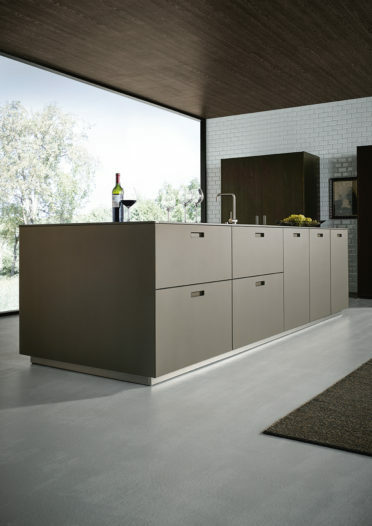 The installed units can be recycled without problem. Hinges – Schüller German Kitchens use all-metal, automatic hinges with height adjustment mounting plates are used for all 107degree opening doors. 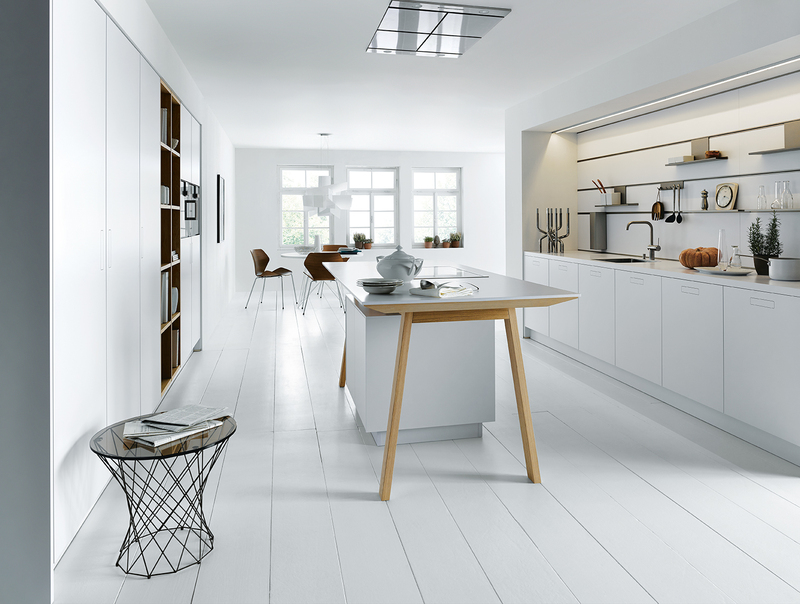 Optional buffers are also available for the Schüller kitchens C1 and C2 ranges and are standard issue in the Schüller kitchens Next 125 range. 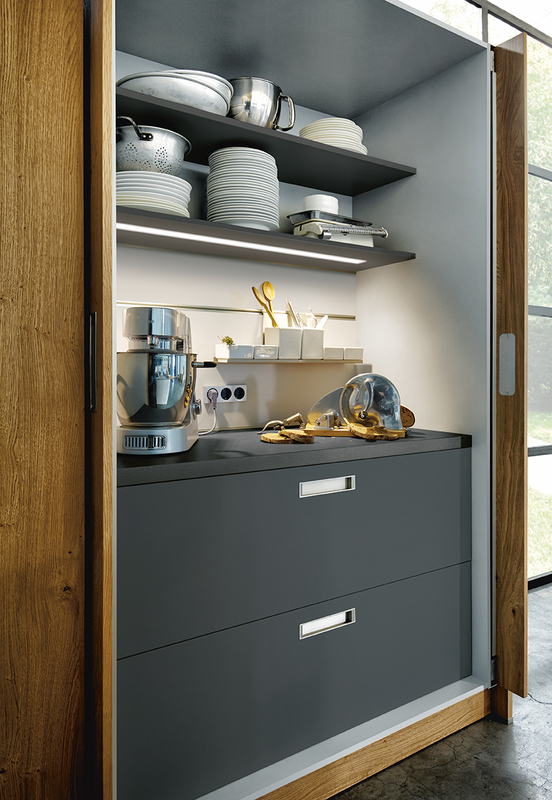 Glass – All of the glass shelves in the Schüller kitchens are made of ESG-glass for optimal safety. 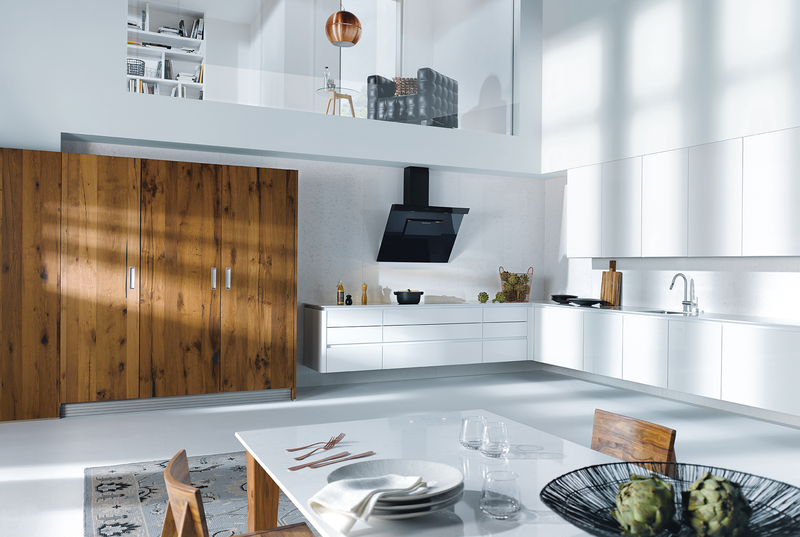 Laminate Doors – these are made of high quality chipboard which are melamine resin-coated or decor-laminated on both sides. 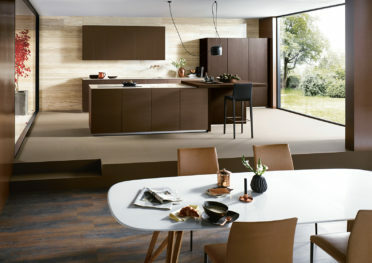 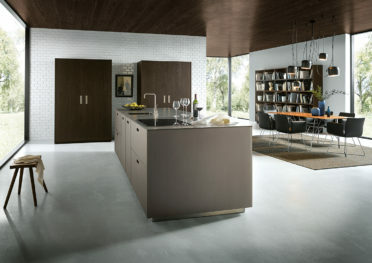 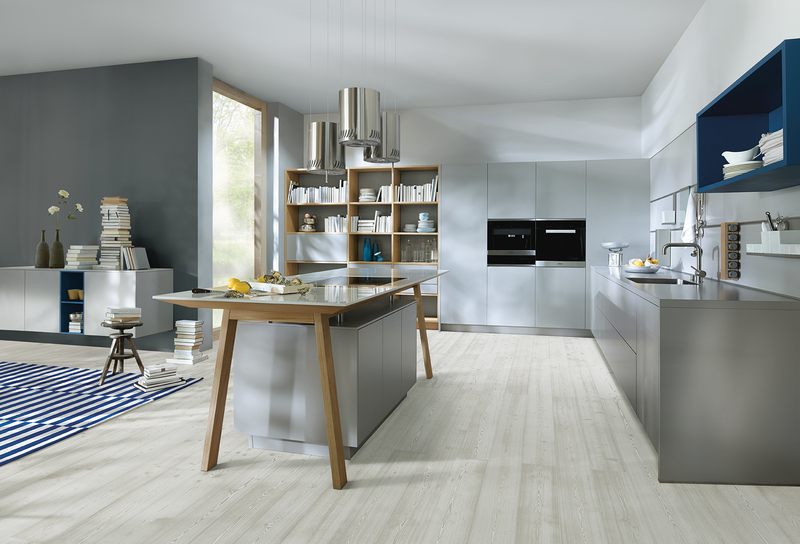 Wooden doors – Schüller Kitchens only use selected woods and veneers. All fronts are protected by PUR lacquer. Wood finishes, by their nature, always exhibit small differences in texture and colour. Note that within the units fronts the wood grain structure can vary and this is normal of the product. 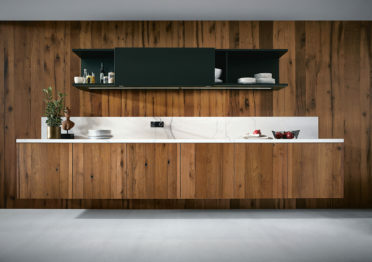 Schüller Kitchens Carcase – The Schüller Kitchens carcase sides, base shelves and shelves are made of high quality chipboard, melamine-resin coated on both sides. 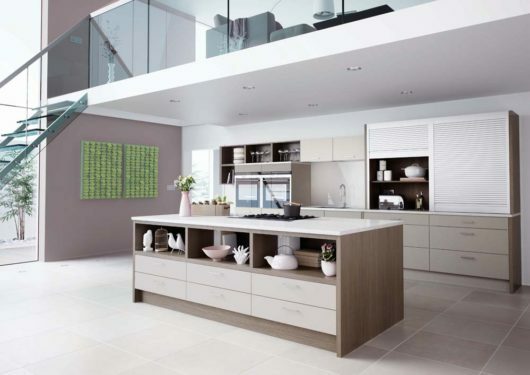 The vertical front edge is chosen according to the decor of the external side, the rear edge is laminated in a neutral colour and the bottom panel colour is defined by the manufacturer. 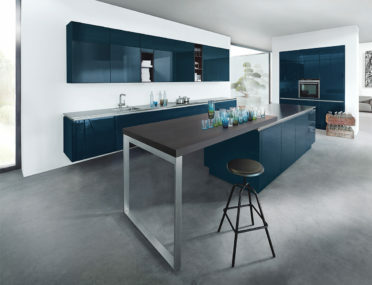 There are many colours and finishes available across the ranges, please contact us for more information.